Is Google Maps ready for a Waze-like reporting system? 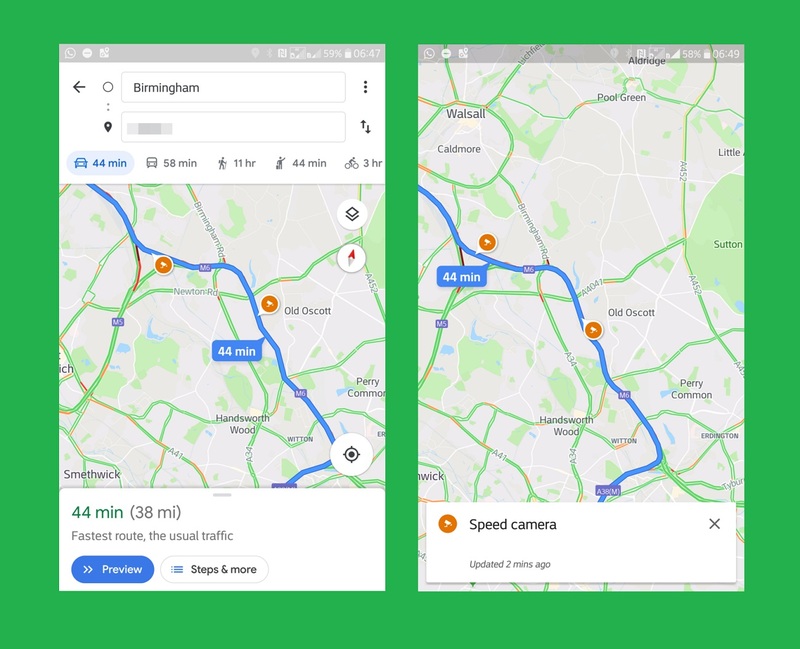 For the longest time, Google Map users have been comparing the reporting system of the former with Waze and expressed their desire to have the same features on the Maps. Well, looks like things are starting to move in the direction the users asked for as in November 2018, some users spotted crash and speed trap reports in Google Maps. However, the feature is still not fully roll out and there are several glitches in its operation. But sneak previews of the same shows that development is underway and we will be seeing advanced reporting on Google Maps soon. According to a AndroidPolice, speed traps are visible when the user is exploring the map and during driving. Additionally, an audio cue will also trigger when approaching a speed camera during the driving phase. Nevertheless, no official statement from Google News has reached us yet regarding the timeline of the new feature. Stay updated with us for more news.